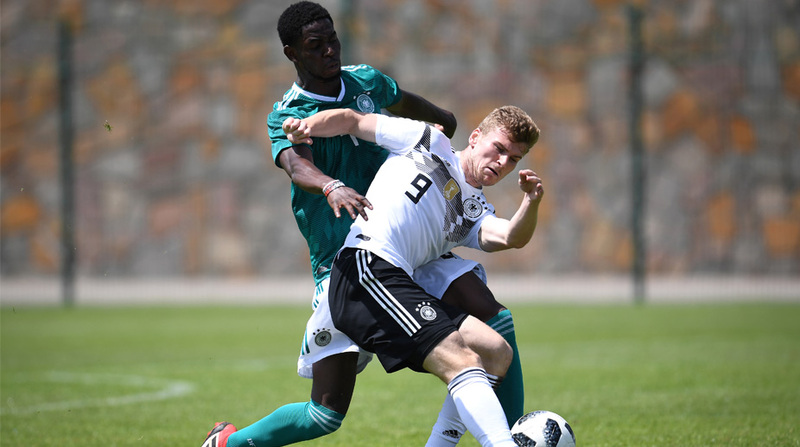 Timo Werner impressed as Germany gave themselves a pre-World Cup boost on Friday by breaking their five-match winless streak with a nervy 2-1 victory over Saudi Arabia in their final warm-up game. Although Barcelona goalkeeper Marc-Andre ter Stegen saved Mohammad Al-Sahlawi’s weak spot-kick, Taisir Al-Jassim banged home the rebound on 85 minutes. “There are no little teams anymore and we didn’t do well in a few areas,” admitted Germany winger Marco Reus, who hit the post early on. The second goal came just before the half-time whistle when Werner’s cross for Thomas Mueller was tapped into his own net by Hawsawi. The Manchester City midfielder caused a political storm last month along with Mesut Ozil by meeting Turkey president Recep Tayyip Erdogan and handing over a signed shirt to “my president”.